In 1958, economist A. W Phillips published an article in the British journal Economics that would make him famous. The article was titled.The Relationship between Unemployment and the Rate of Change of Money Wages in the United Kingdom, 1861-1957. 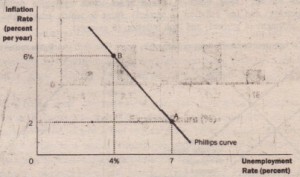 In it, Phillips showed a negative correlation between the rate of unemployment and the rate of inflation. That is, Phillips showed that years with low unemployment tend to have high inflation, and years with high unemployment tend to have low inflation. (Phillips examined inflation in nominal wages rather than inflation in prices, but for our purposes, that distinction is not important. These two measures of inflation usually move together.) Phillips concluded that two important macroeconomic variables inflation and unemployment-were linked in a way that economists had not previously appreciated. Although Phillips’s discovery was based on data for the United Kingdom, researchers quickly extended his finding to other countries. Two years after Phillips published his article, economists Paul Samuelson and Robert Solow published an article in the American Economic Review called Analytics of Anti- Inflation Policy in which they showed a similar negative correlation between inflation and unemployment in data for the United States. 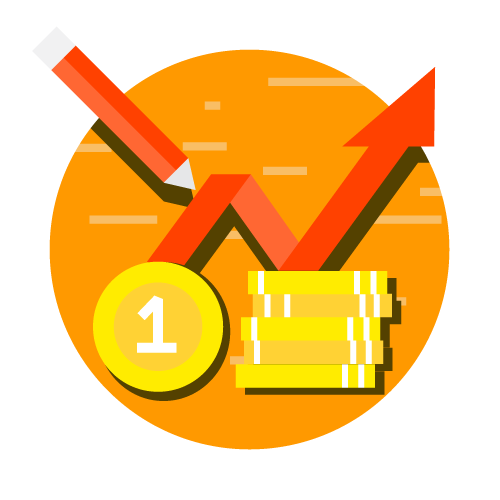 They reasoned that this correlation arose because low unemployment was associated with high aggregate demand, which in turn puts upward pressure on wages and prices throughout the economy. 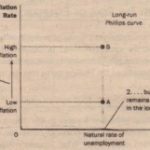 Samuelson and Solow dubbed the negative association between inflation and unemployment the Phillips curve. Figure 1 shows an example of a Phillips curve like the one round by Samuelson and Solow. As the title of their paper suggests, Samuelson and Solon were interested in the Phillips curve because ·hey believed it held important lessons for policymakers. In particular, they suggested that the Phillips curve offers policymakers a menu of possible economic outcomes. By altering monetary and fiscal policy fluency aggregate demand, policymakers could choose any point on this curve. Point A offers high unemployment and low inflation. Point B offers low unemployment and high inflation. Policymakers might prefer both low into nation and low unemployment, but the historical data as summarized by the Phillips curve indicate that this combination is impossible. 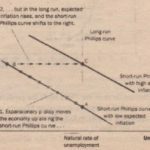 According to Samuelson and Solow, policymakers face a trade-off between inflation and unemployment, and the Phillips curve illustrates that trade-off.